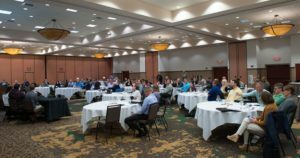 A crowd of nearly 100 people attended the Remediation and Redevelopment Program’s recent conference, Brownfields for Local Government Officials, held May 10, 2018 in Stevens Point. The one-day conference spanned a host of land recycling issues, but did not include the technical topics often reserved for other events. Throughout the day, participants heard from developers, local government colleagues, and others about the tools and strategies to capitalize on underused, or even abandoned, properties. The day began with an overview of the DNR’s Brownfields Program, including explanations of the financial aid and technical assistance that staff can provide. Other sessions included panel discussions with program staff (formerly private sector consultants) and with experienced developers familiar with the unique requirements of brownfields redevelopment. Attendees also heard from local government leaders about devising county-wide redevelopment plans, state-assisted cost recovery mechanisms, and both state and federal brownfields assistance programs, including the Technical Assistance for Brownfields (TAB) program, a joint effort through the EPA and Kansas State University. Conference presentations can be found in the program’s Training Library. A similar conference will be held again in 2020. 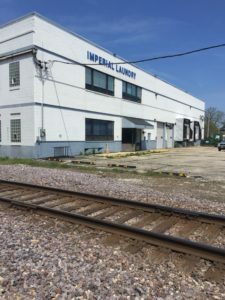 Wisconsin local governments seeking to catalyze redevelopment by cleaning up local brownfields have a powerful tool in their toolkit. The state’s Local Government Unit (LGU) Negotiation and Cost Recovery law lets cities, villages, counties, and other LGUs identify parties that are responsible for contamination at LGU-owned sites and then recover cleanup costs from them. This self-contained process includes public input and encourages responsible parties to agree on sharing cleanup costs – saving time and money – with help from a DNR-appointed “umpire,” or facilitator. LGUs can pursue this process alongside the state regulatory process for cleanup, which allows local leaders to gauge cost recovery prospects while during the remedial action planning phase. The cost recovery process, known informally as the “Umpire Process,” is available at properties owned (either entirely or partially) by the LGU.